Don’t tell my boss, but our open office is slowly driving me nuts. I feel like someone is constantly creeping up on my workstation, and the softest chatter from across the room makes the hairs on my neck tense up. But catty-corner from me, our news assistant works in complete peace, undistracted by the exposure to it all. The contrast showcases the divided feelings inherent to open office layouts. The basic logic behind the open offices is that tearing down physical barriers inspires communication and collective creativity. Like bees in a hive, the theory goes, it should promote social intelligence. But while open offices have existed since the mid-1960s, there is little evidence to support these widespread claims — and some surveys show the opposite: declines in employee satisfaction and productivity. Now, two behavior researchers from Harvard University have tackled this problem head on, by directly measuring more than 100,000 face-to-face conversations at two Fortune 500 companies — before and after their global headquarters switched to open office layouts. Though the sample size is small, the team found open office layouts dramatically cut employees’ face-to-face conversations at these companies — by as much as 70 percent. Employees made up for the lost chatter by turning to online communications (email and instant messaging). Digital correspondence rose almost as much as chatting in person fell, according to their study published in Philosophical Transactions of the Royal Society. But this sharp drop in human interaction may be due to the style of open office observed in the study, which offers clues into what managers should consider when designing the best workspace for their employees. For the study, Ethan Bernstein and Stephen Turban visited two Fortune 500 companies before and after sections of their global headquarters switched to open office layouts. They asked employees to don so-called sociometric badges, which look ordinary but are packed with custom technology for tracking conversations. The badges resemble smartphones, but are smaller and lighter. Their infrared and motion sensors can detect when people are facing each other. The badge also has a microphone to capture when people are speaking and can also distinguish between one-on-one and group conversations, as volume helps decide if you or your coworker is talking. While this technology sound invasive, the devices don’t actually record what is said. Plus, the 150 employees involved in the study knew they were being monitored. “We did check to see if the first day of the study had any bias toward people acting differently…and we didn’t find that,” Bernstein said. Employees at the first company wore the badges for three weeks before and after their office redesign, and there was roughly three months between the two observation periods. The team tracked about 97,000 face-to-face conversations, 84,000 emails and 26,000 instant messages among employees in various departments, including technology, sales and pricing, human resources, finance, product development and executives. They found people spent 72 percent less time interacting in person, while employees sent 56 percent more emails and instant messaging increased by 67 percent. Executives at this company also noted reduced productivity after the office redesign. The study at the second company recorded similar patterns in communications, but also took a deeper look at individual pairs of employees. Doing so allowed the researchers to explore some control settings — namely if gender, being on the same work team or physical distance between desks influences office communication in general. “Gender did not play a role in this,” Bernstein said, but as might be expected, people on the same team were more likely to communicate face-to-face and electronically. The researchers found employees in closer proximity had more face-to-face interactions, as you might expect, but their email patterns didn’t change. This supports the common belief that electronic communication isn’t influenced by physical boundaries. Bernstein said most companies opt for open offices because the cost per square foot is cheaper. But he said managers need to consider that the loss of privacy comes with a price too. “Privacy might be actually more expensive than transparency,” Bernstein said. For instance, my colleague’s desk faces a wall, while mine faces everyone else in our newsroom, which may explain our contrasting experiences. Though humans like being social, past behavior studies show that humans have a fundamental desire for privacy, and impinging on that privacy can decrease workplace productivity. Studies show that merely listening to another person as they talk on the phone can reduce your attention span, said Janet Pogue McLaurin, an architect and principal at Gensler who is the global leader of their workplace sector. When it comes to maintaining privacy, Pogue McLaurin said not all open offices are created equal. The Harvard study looked at what are considered the worst examples: Workspaces where no barriers exist between desks. In 2016, Gensler conducted a nationwide survey of 4,000 office workers across 11 industries. They found the most effective open offices use shared desks with high barriers — high enough that you must stand to see your deskmate. As the height of the barrier drops, so does workplace effectiveness. Even tech companies, which led much of the modern movement toward open offices, are starting to pull back on the concept, Pogue McLaurin said. Designing a sleek looking space can be valuable for employee satisfaction, she said, but it is important to consider accessibility and how noise moves through that space. 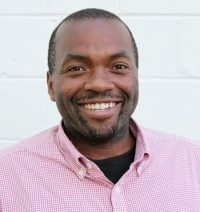 You want enough access that people can see others and feel connected, Pogue McLaurin said, but you don’t want people to be constantly interrupted. 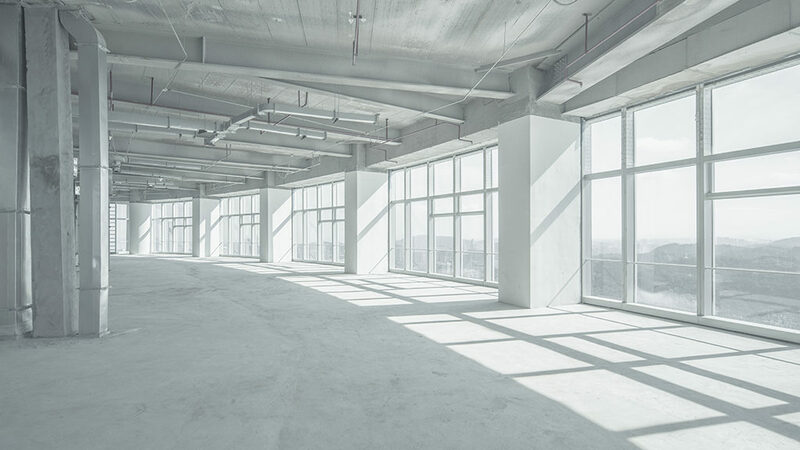 In terms of noise, the most distracting kind of space is wide open, with lots of glass, hard floors and hard ceilings — all of which fail to absorb sound. Companies can restore order by breaking up open floor space with huddle rooms or moveable barriers like white boards. They can also dampen audible distractions with ceiling fixtures like acoustical clouds, fabric surfaces and sound-masking speakers. Gensler found an open layout can be just as effective as one with private offices, if the former accounts for qualities like design, noise levels and access to resources. Waber, who wasn’t involved with the Harvard study, said Humanyze has measured billions of face-to-face interactions across the globe, and anecdotally, it has noticed similar drops in conversation at poorly designed open offices. “What the study showed is that making those decisions on gut instinct is really not enough and that you really need to rigorously test and iterate on how your workplace is structured,” Waber said. 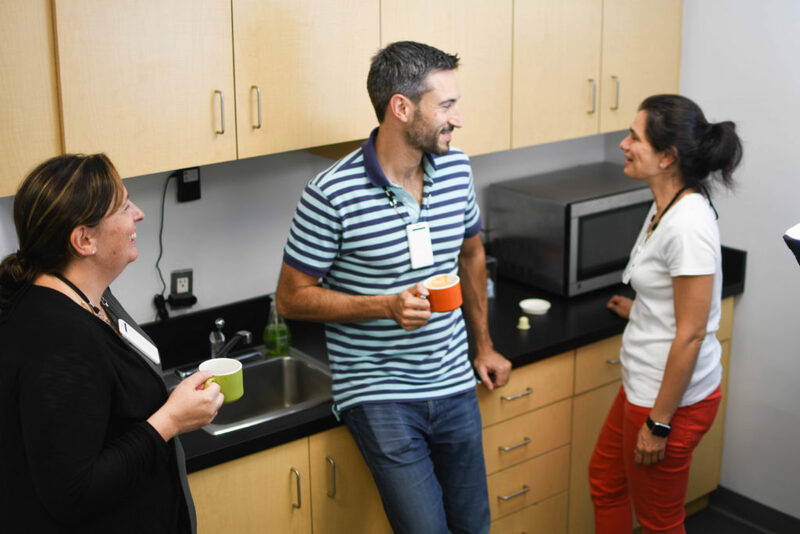 Using sociometric badges, he and his collaborators have found simple fixes like bigger lunch tables in the cafeteria or giving employees a coffee break at the same time can boost productivity and improve socializing at work. “Going with your gut is not really a good reason to make a big decision that is going to impact how people will spend the majority of the waking hours of their lives,” Waber said.